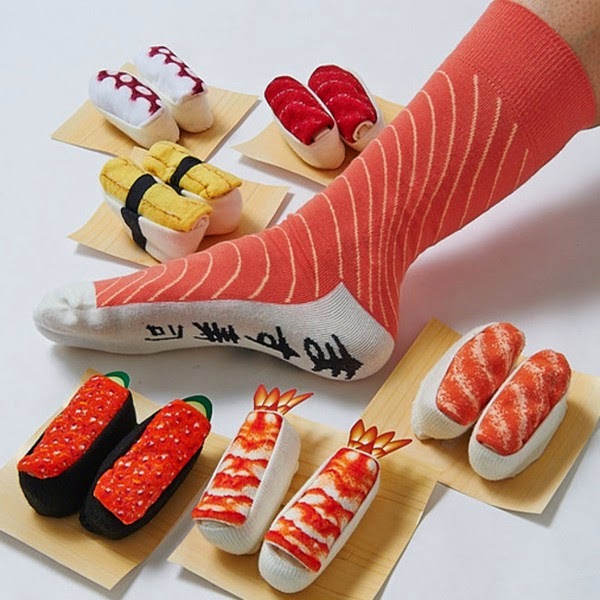 The Sushi fan in your life will be astonished at how realistic these Sushi socks look. Hand-rolled in Japan, the socks are presented in a way to look exactly like the real thing. Available in a range of classic sushi: Octopus / Shrimp / Tuna / Salmon / Red Caviar / Mazusushi (Trout).